Marge is a babysitter like no other, whipping up magical mayhem – and chocolate soup for lunch! You probably think you’re too old for babysitters. But here’s the deal: no one’s too old for Marge. (Never, ever tell your parents how much fun she is, or they’ll want to hang out with her too.) 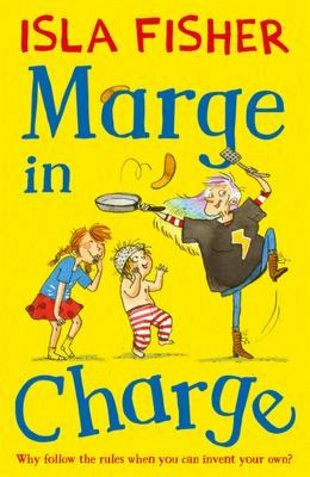 Marge has hair all the colours of a rainbow, and she’s all about making you laugh and bending the rules! At school, Marge conducts a crazy playground concert. In the kitchen, she cooks up a yummy chocolate soup. How much fun can YOU have with Marge before Mum and Dad get home?